Add all of the beans at once. Combine salt, sugar, molasses, bay leaf, mustard, onion and add to beans. for 45 min. 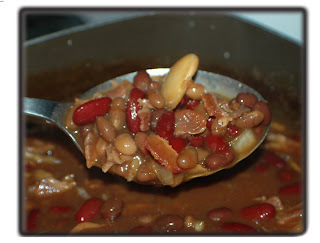 If baked- pour the water over the top of the beans right before they go into the oven.